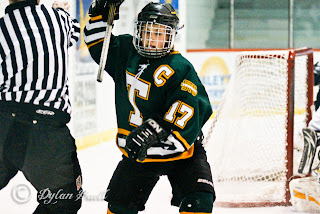 Atlantic University Sport announced their 2011-12 Women's Hockey awards this morning in Halifax and two Tommies garnered honours. Kayla Blackmore of Lincoln, NB was named a 2nd team all-star and STUDENT-ATHLETE COMMUNITY SERVICE AWARD recipient. Captain Blackmore led STU in every major offensive category and plus/minus with 16 goals, 14 assists for 30 points and a +12. This is the second year in a row that Kayla has picked up a major award, as last year she was the leagues Most Sportsmanlike Player recipient. From the AUS site "The Student-Athlete Community Service Award honours the individual who best combines academics, athletics and community involvement. St. Thomas forward Kayla Blackmore, also named a second team AUS all-star today, is a three-time Academic all-Canadian who has maintained a cumulative 3.94 GPA over the past four years and is the recipient of the Dr. Tony Rhinelander Nature of History Prize for commitment to the field of history and research. On top of her academic and athletic commitments she finds time to work part time at the university gym and volunteer as a youth hockey coach. 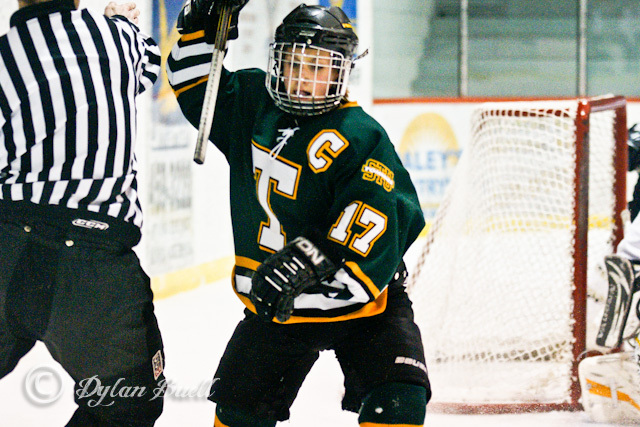 She is a leader on her team and was previously named the 2010-11 AUS most sportsmanlike player. Blackmore is the first Tommies player to receive this award and will now represent the conference as the AUS nominee for the CIS Marion Hilliard Award." 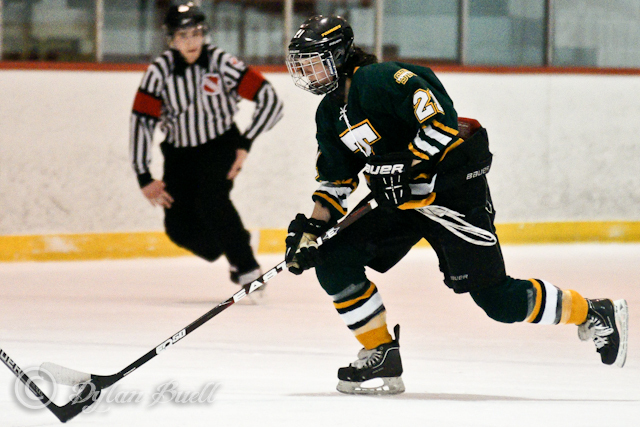 First year Tommies forward Danielle Miller was named to the AUS ALL-ROOKIE TEAM. Miller, a Saskatoon, Saskatchewan native, was second in team scoring registering 8 goals and 13 assists for 21 points and had a +8 +/-. Dani was a strong presence on the ice at all times and we look forward to seeing her in Green and Gold for many years to come. Congratulations to our Lady Tommies.